2017’s basically here already. Proof? Three new game release dates this week, spanning from February to April of next year. It’s starting. That, plus Sam Lake sing-talks his way through Remedy’s music, Age of Empires II gets yet another new expansion, Planet Coaster becomes a winter wonderland, Doom runs on a single keyboard key, and Hitman borrows from Home Alone. This is gaming news for December 12 through 16. Ubisoft’s been celebrating its 30th anniversary for the past seven months or so, giving away a free game every month. What? You missed one of them? Well then you’re in luck, because from now until Sunday you can grab all seven freebies in one go, provided you use Uplay and sign up for the Ubisoft Club. That’s free copies of Prince of Persia: The Sands of Time, Beyond Good & Evil, Splinter Cell, Rayman Origins,The Crew, Far Cry: Blood Dragon, and Assassin’s Creed III, for the curious. Head here to grab ‘em. Age of Empires II is, what, 17 years old at this point? Perfect time for an expansion, methinks. Age of Empires 2 HD has received two new expansions since it launched in 2013, but a third is set to release next week—December 19 to be exact. 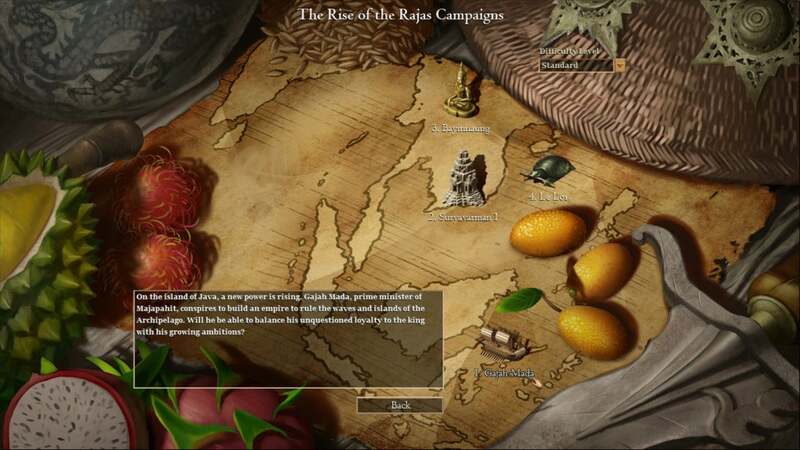 Titled Rise of the Rajas, it brings in four new civilizations (the Burmese, Khmer, Malay, and Vietnamese) and four new campaigns. Also on the docket for an expansion this week: Planet Coaster, which gets its first free post-launch update in the form of some winter DLC. Two new flat rides, two new rail rides, and—most importantly—a winter theme with accompanying shops and scenery. You'll also find a much-needed interface update, including the ability to set global shop prices from a single menu. One of my most-anticipated games for 2017 is Banjo-Kazooie spiritual successor Yooka-Laylee, and now we’ve got a more definitive release date: April 11. Also, a new trailer. Another much-anticipated 2017 title, Torment: Tides of Numenera also secured a release date this week: February 28. And another! Styx: Shards of Darkness, follow-up to the actually-it’s-kinda-decent stealth game Styx: Master of Shadows, is set to release on March 14 of next year, and just got a swanky new trailer. It looks similar to the last game, though the transition to Unreal 4 has done Styx some good. ‘Tis the season for holiday-themed missions, and the one I’m probably going to play most? Overwatch’s Mei-centric snowball fight. But it’s Hitman that wins the prize for most creative with its new Elusive Target. Harry and Marv, eh? Yeah, you might recognize them as the villainous duo from Christmas classic Home Alone. It’s no Gary Busey, but still, pretty great. Following up on the hit videos “Doom running on an ATM” and “Doom running on the MacBook Pro’s Touch Bar” comes this new house of horrors: Doom 2 running on a single keyboard key. Reddit user AyrA_ch used a workaround to get the game running on the customizable Optimus Maximus keyboard, by way of transcoding the video into a series of screenshots that are then displayed on the key’s 48x48 pixel programmable display.